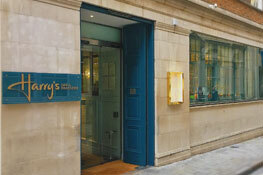 Our hidden little gem…. a glass of wine with friends or a meal with clients, homemade flavoursome food and a friendly welcome awaits you in our charming, rustic restaurant and bar. 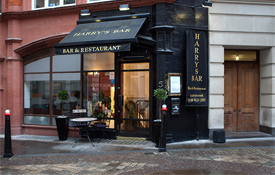 Harry’s Bar & Brasserie is ready and waiting to give you a warm welcome... Come and take a look at our classy and casual new Bar and Brasserie and take a peak at our new brasserie style menu overleaf.